Happy Wednesday babes! Brew your self a cup of tea, this is a long post today! 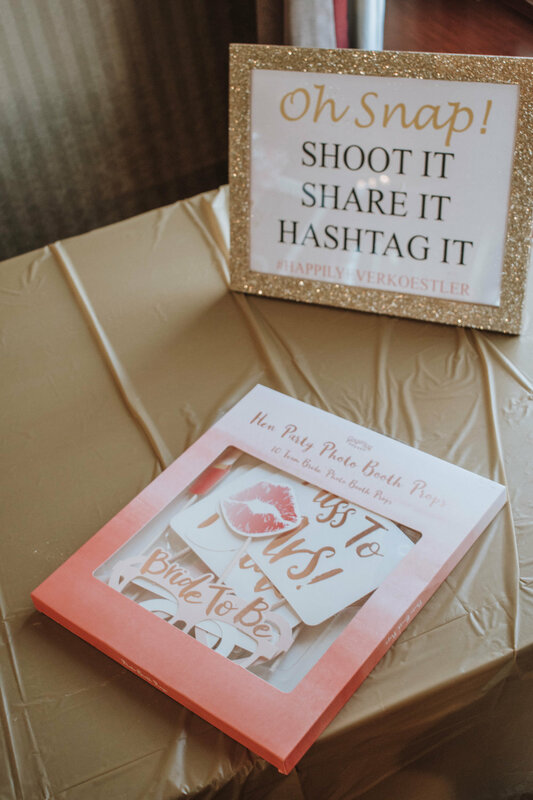 I’m sharing everything from my Bridal Shower!! I’ve been so excited to share all of the photos with you all!! 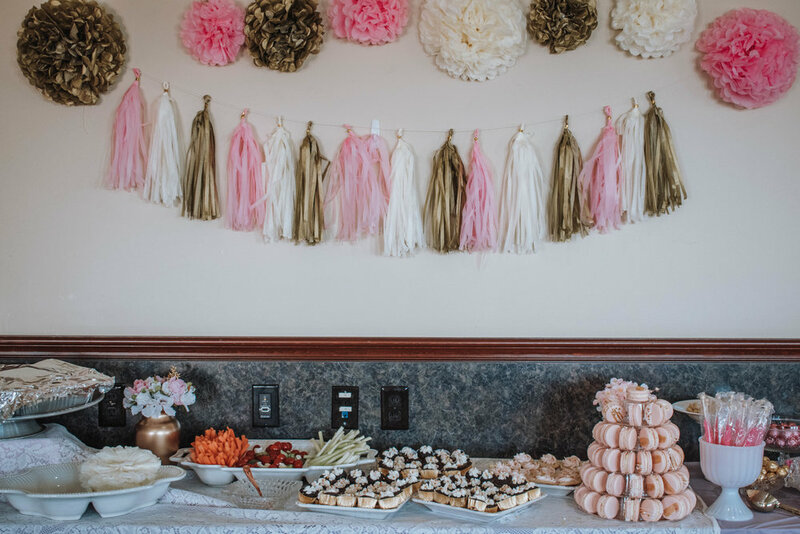 Quick thank you to my mom, Courtney and Jenacie who worked so hard for weeks putting this together and throwing a beautiful shower for me, I’m so grateful! Let’s dive in!! Why did we do an open house?! It’s hard for people to take 4 hours out of their day to hang out with me. Which I totally get!! So we made it an open house to those who could only stay for an hour could leave and everyone could just come and go! It made it super easy for the guests and they all said they loved the idea!! I loved this idea! 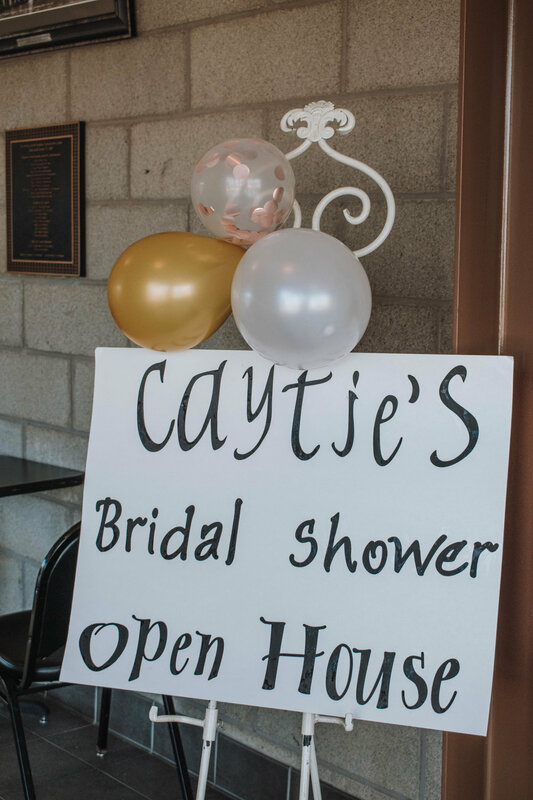 Most of the bridal shower was a secret to me! I asked to be left out of the planning so I could just enjoy it!! 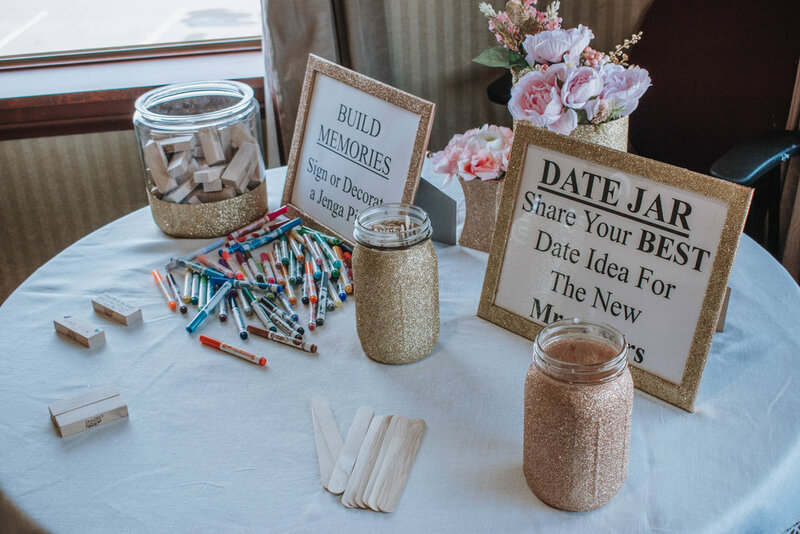 We will be bringing both of these activities to the wedding for the wedding guests to do too!! Guess how many kisses for the soon to be Mrs. I loved this activity, my mom wouldn’t let me play haha!! There were 542 kisses in that jar!! I think I guessed 167 haha! My mom did this awesome activity where if you brought a household item to the shower you got a scratch ticket to win prizes!! One person actually one a free manicure to our salon!! It was such a cool concept and I loved all the household products people brought!! We served pizza rose rolls, chicken pinwheels, cheese balls, veggies, and chips! Everyone loves the pizza rose rolls! I’ve left the recipes for you above! We had macarons, candy, and cupcakes! The cupcakes were actually made out of what my wedding cake flavors will be!! 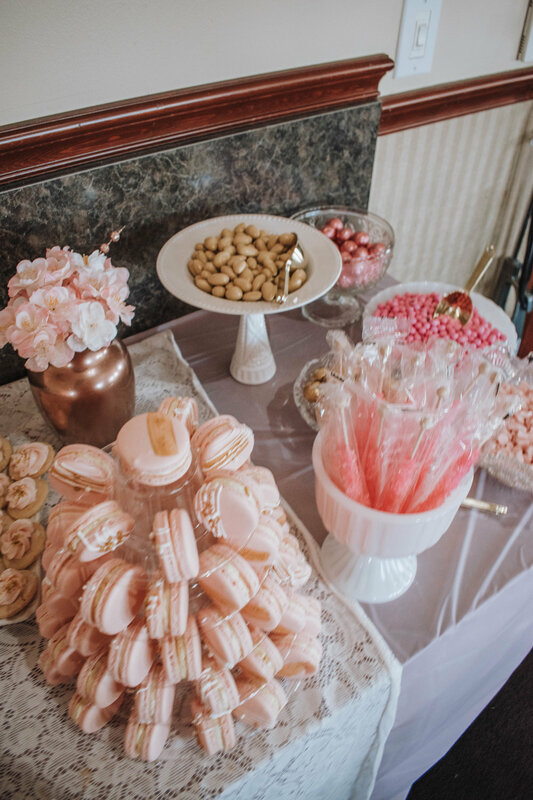 Everyone LOVED the macarons!! We had a little photo booth with cute props and a cute set up (thanks Jenacie)! Above are just a few photos from the booth!! I wish I could share them all! We had an address book for everyone to fill out their information! That I think was my favorite activity!! I’m def going to be sending everyone cards haha! I’m overwhelmed with everything we got from the shower and I am so thankful for everyone!! Those who took time out of their day to shower me with love and spend time with me. You are the ones who will support me when I need it most. Thank you all SO much!!! Okay I lied, this was my favorite! On the invitation my mom told everyone to bring their favorite recipes to surprise me with a recipe box, it was amazing!! I am so happy and excited to cook for our family and keep the box growing!! That was an amazing idea and so thoughtful!!! Thank you all so much for reading!! I took all of these photos so check out my photography website HERE! Make sure you give this post a like and comment what your favorite part was!! Happy Wednesday babes!! 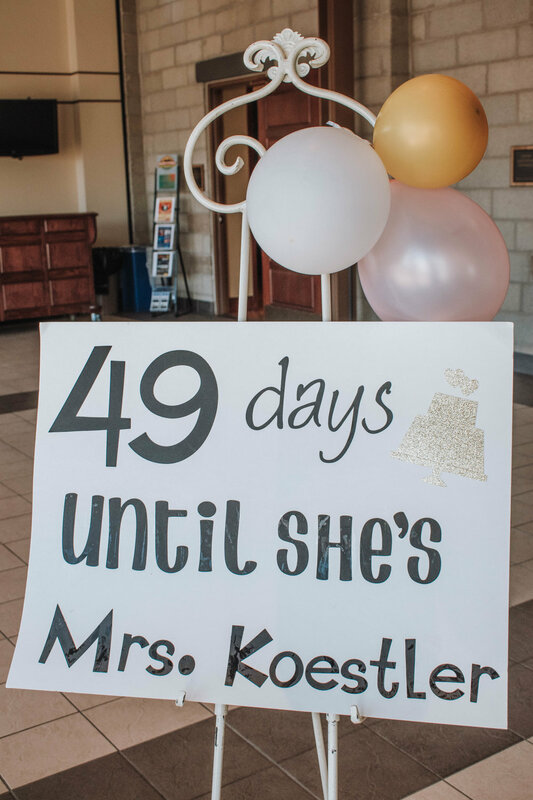 Wedding Countdown: 46 days!